"Fever was the best thing about our wedding"
I waited way too long to post this review. Fever Band played our party in July 2018. We interviewed and considered several bands and ultimately decided Fever Band was the right choice. It turns out it was a great decision as the band was amazing. Beginning with their prompt and direct communication, professional booking and payment process. This professional theme continued through communication about a setlist and the song selection process and the lead up to the event. The scheduling for arrival and setup was crystal clear and accurate. The day of, the band arrived on time and went to work. Engineering, setup, lighting...everything went well and as the party host, we are not asked to worry about anything. During the party they were amazing. Nailing song after song. Their song arrangements and performances were memorable and spot on. Our guest danced all night long. Intermission turned into a great 90's and 2000's rap dance track which our guests loved, and it got the entire crowd ready for the second set. We burned the dance floor down until the very last song was played. And even after they were done they were good enough to leave the speakers on for some late-night dancing, which the band even participated in. They added a few surprises into the performance which I will not divulge as to avoid spoiling them for future events. The party is still talked about 6+ months later, and I expect people will still be talking about it for years to come. In short, the BEST decision that we made when planning our party was hiring Fever. I would recommend using them without hesitation. GUESTS WILL DANCE THEIR HEARTS OUT! We hired Fever Band to provide entertainment for a final dinner at the end a five-day long national convention. People were ready to relax and unwind and desperately needed to have fun and gosh did they ever!! Their music covers were awesome, they read the very stuffy (at first) crowd very well and got just about everyone up and dancing. The worst part was when they had to take a break - people literally stayed on the dance floor waiting for them to come back. I thought for sure people would leave but they anxiously awaited the end of their break. Everyone was having such a good time, I had to ask the venue to allow us to stay for another half hour. Given the size of the band their price was awesome and they were really responsive with emails, contracts, etc. Honestly, if I ever need another band like this for something, I wouldn't hesitate to contact them again. Thank you, thank you for making the evening so fun and wonderful! They were absolutely amazing in both performance and to work with. So many of our guests told me that Fever was the best wedding band they had ever experienced. If you are so fortunate to book Fever for your event, you will not be disappointed. I just wish I had another event down the pike so I could book them again. THEY WERE PERFECT!!!!! Wow! Rickie and her team were great to work with and very professional/responsive leading up to the wedding. We had a relatively small wedding (~60 ppl) and many older folks left early, but they kept those of us that stayed out on the dance floor until the last song! The music was a great mix of old and new, and they did a great job of choosing the right person/vocals for each song. They learned a few new ones for us - Slow Hands, Tupelo Honey - and played them perfectly. We had several neighbors tell us they were out on their porches enjoying the tunes as well! Great energy and friendly vibe. 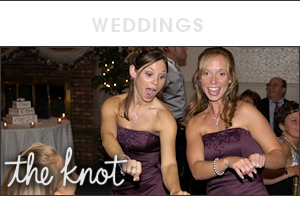 They were a great choice for our wedding, and we would hire them again for any special event! Highly recommend. We had a 50th B-Day party for 80 guests and Rickie and her band members put on an amazing performance. EVERYBODY danced for hours and hours. The song selections were right on! 2 Singers terrific. Fever Band is incredibly professional and very easy to work with. You should hire them. AN INCREDIBLE NIGHT OF MUSIC! After months of trying to work with an egotistical wedding band out of Boston, I received a recommendation for a local wedding band, Fever. From our first interaction via email, to my hug from Rickie at the end of my wedding night, Fever was an absolute joy to work with. Not only are they all fantastic musicians who know how to keep the party going; they're all wonderful individuals! We had numerous compliments from our guests about our choice of band- they had our family and friends up and dancing the WHOLE night. I cannot say enough about Fever and our experience working with them. They coordinated with our wedding planner to ensure that the night ran seamlessly- I had zero worries or doubts throughout the entire planning process. I would recommend Fever over and over again to anyone looking for a talented and friendly wedding band. I only wish we could relive the night and get to enjoy their entertainment all over again! Thank you to Rickie, Dan, and all of Fever for being the greatest wedding band there ever was (in my opinion) and for providing us with an incredible night of music and memories to last a lifetime! Fever was awesome at our wedding in September 2017! They had a great song selection and kept everyone dancing from our friends to our parents' friends! They were great to work with and overall we couldn't have asked for a better band experience. I can't recommend them enough! THE FEVER BAND WAS AMAZING!! The band Fever was amazing at my daughter's wedding last weekend! Everyone was commenting on how fabulous they were. They say "the band can either make it or brake it" - Fever rocked it! I would highly recommend them. They were also very easy to work with!! FEVER WAS THE BEST THING ABOUT OUR WEDDING! I can't say enough good things about Fever. I knew from the opening bars of the bridal party entrance music that they were going to be amazing and they really were. The energy was perfect. People kept coming up to me during the reception to tell me how great they were - they kept everyone on the dance floor the whole night! At one point, they let me know the timeline of the wedding (dinner service, speeches, etc) was running a bit behind and they offered to skip their break and just play through the end of the wedding if we wanted. They were professional to deal with at every stage of planning, and we really couldn't have asked for a better band. Fever did a great job starting with the Cocktail Hour Jazz Set, a great selection of Dinner music, and had people of all ages dancing all night. So many people enjoyed the music and even some people who don't usually dance were out there on the dance floor that night. Fever was absolutely incredible. We had them at our wedding based on a recommendation from a friend and they were so easy to work with and totally killed it. The sound, set list and band members were awesome and every single one of our guests said that they were the best band they had ever seen at a wedding. One guest even remarked that he had never been to a wedding where 95% of the people were dancing the entire time, and another guest is contemplating moving his wedding from California to the East Coast just to have Fever play at it! Rickie the band manager was also very low key and so easy to work with. The set list they made off our our song selections was perfect and we even had veto power over any of the songs (which we didn't use). They nailed every song from Fleetwood Mac to Pink to Toto and learned our three song requests perfectly. All told we spent about 2 hours total going back and forth with the band, very minimal considering how much time planning a wedding takes. We only hope that they're still together for our 10 year anniversary! GO FOR THE 9 PIECE! 9 piece band at our wedding really made the night! Really professional group with a great range. Can't recommend highly enough. Just Amazing! get the extra horns well worth it. Worked really well with us on our playlist. And then they nailed YOU CAN CALL ME AL. If you are getting married in Southern VT book them they are better then anything else that is closer. My husband and I inquired about Fever for our wedding after hearing rave reviews from many friends who saw them at another wedding last year. When asking around about bands we knew we had to check these guys out after hearing how amazing they were from so many different people independent of each other. We wanted to see them live ourselves before making a deposit so made time to see them at a bar they were scheduled to play at. We brought friends to the bar who gave rave reviews. We thought they were awesome too! We booked right away after that. We've been married for 10 days and the compliments haven't stopped coming! (Not even exaggerating) Everyone we talk to says that the band made the wedding and can't believe how awesome they were. We have heard that our wedding band has been the talk of many 4th of July get togethers all weekend since. We started the night off with a jazz trio at cocktail hour and then they covered everything from jazz, to r&b to classic rock to country at the reception. They even sang "Desposito" after practicing and memorizing the lyrics in just a few weeks- talk about impressing the crowd!They were also extremely helpful when it came to choosing songs for dances, great MC'ing all night long and we also were able to hire them for the lighting which saved us a lot of money vs a separate lighting company and the lighting looked great! We also hired the extra DJ who kept the party going while the band took quick breaks and ate their dinner. It was a very smooth transition between each with no awkward breaks or pauses between each. Dressed professionally and appropriate for our dressy wedding. You won't regret hiring Fever! TERRIFIC! WAIT, BETTER THAN TERRIFIC...PERFECT! Can we rebook now? Fever was terrific! From the initial inquiry, to booking with Rickie, everything was great. I can't begin to tell you how much our guests loved the band. We had a range of ages and the playlist suited everyone. Absolutely perfect! Hopefully we'll see you back on the beach next June! Fever has played for our annual black-tie gala for over 3 years now. Each year they adapt to our theme and give us a performance that has our guests on their feet for hours straight. They are true professionals, easy to work with, and incredibly talented musicians. We highly recommend Fever for your next event. The Walter Camp Football Foundation celebrated its 50th anniversary with a party at the Omni Hotel in New Haven, CT on January 13th, 2017. We are an all-volunteer organization that honors the Walter Camp college All-America team every January in New Haven. We bring current players and alumni in to help give back to the community through Stay In School Rallies, Hospital Visits and Youth Clinics, to name a few. When we decided to have a party to celebrate our 50th, Fever was the first band I thought of. After watching them perform over the past few years on Block Island, I knew they were the band for us. I was right! 10 days out, I am still getting calls and text messages about how amazing the band was. They kept everyone dancing the entire night and the crowd was so bummed when the night came to an end. I would strongly recommend Fever to anyone in need of a band. Aside from their musical talent, Rickie & Dan were very professional to work with. Thank you again Rickie & Dan! They came recommended to us by a few musician friends, and when I say they were the highlight of our whole wedding I mean it. They worked with us so well on every detail of the night from the style of jazz at the cocktail hour to the segments of songs to be played for our entrances. They are by no means a "typical wedding band". They are truly talented artists who bring life to the room and add a new layer of fun and excitement to your event. We got compliments from ALL of our guests on how great they are. I cannot say enough great things about them!! Fever played our Charity Gala for 300+ people and I think every single person in the place was on the dance floor!! Since the event, we have heard nothing but "that band was amazing!... the band was incredible!... we loved the band!... even the husbands were dancing, and they NEVER dance..."
From the moment we first engaged with Fever, they were professional, accommodating and a pleasure to work with. They asked all the right questions, made sure they understood the venue, the event, and the demographic of our audience -- and they tailored the music accordingly. The song selection was absolutely perfect for the crowd, such that the dance floor filled quickly and never emptied -- right up until the last song. We loved the play list, the variety of instruments (horns! ), the vocal variety and exceptional talent, the high energy, the accompanying light show... the whole package. Could not have been a better night or a more successful event for us. We can't wait to have them back next year!! Let me start by saying that Rickie is the most amazing human being, and Fever Band is the most amazing band and you should definitely hire them!! Approximately 40 days before our wedding the band we had hired backed out because the lead singer got into an arts residency program. And, although I am in full support of honing your craft, having the band back out so close to our wedding date sent me straight into a panic. After researching for hours I found Fever Band using a search on GigSalad and sent them an email. This was at approximately 10pm (pacific time) so 1am (eastern standard time) on a Tuesday evening. On the brink of tears that I would end up putting my iPod on shuffle for our wedding I closed my computer. 10 minutes later my phone buzzed with the following text "Lindsey? This is Rickie from Fever. Just got your inquiry. We do have the date open! So I'll be in touch tomorrow to get more info :)"
From that moment forward Rickie was nothing short of amazing. She and her bandmates were able to put together an amazing show and truly made our wedding what it was. I believe in that everything happens for a reason and having our original band back out 40 days before our wedding was truly a blessing in disguise. If you want your wedding/event/birthday/whatever to be amazing don't waste another moment...hire Fever Band NOW—I promise you will not regret it!! I booked Fever for our wedding without ever seeing them live, and the inherent risk was absolutely more than worth it. Rickie is incredibly organized and makes planning as easy as possible with a recommendation at any step but also a remarkable flexibility and willingness to adapt to your unique situation. Most importantly they brought the house down on the big night, reading the crowd's energy and playing perfectly to keep people on the dance floor and having fun. We had a young crowd for the most part (1/2 25-35) and Fever was more than up to the task. I cannot overstate how happy we are that we found Fever and booked this great band for our wedding. Don't think twice - book Fever and you will not be disappointed. We were thrilled to have Fever perform at our wedding. They sounded great and kept the dance floor packed through the end of the night with their boundless energy. Fever was great to work with and took our suggestions into account when planning their set list. We ran a bit behind schedule on our wedding day, but they took it all in stride. Fever was the perfect band for our wedding. Rickie was easy to work with - so sweet and organized. They are extremely talented and play a variety of music (and continued to learn the latest hits right up until our wedding day). We really wanted a mix of band and DJ during the reception and Fever was able to do both! Thank you Fever!! Fever was the highlight of our wedding!!! To start simply, Fever is amazing. Choosing a band for your wedding is a crucial (maybe the most crucial) key to having a good time and Fever is such a clear best choice. My Wife and I spent hours and hours listening to bands online and went to numerous live shows to try and find a great band for our wedding. When we found Fever's website we were blown away. This was only compounded when we saw them perform live. The second best band was not even in the same ballpark and this included searching all of the Boston options! Fever showed up the day of our wedding and set everything up perfectly. It was completely stress free. In addition, they made a few recommendations for managing the flow of the wedding and these made things go so much more smoothly. We picked three songs for the band to learn including our first dance, the mother son dance and father daughter dance. The end product of these choices was breathtaking. Fever stays true to the original song while still adding a touch of their own personal style. Now for the meat of the review, their performance for the rest of our wedding. Best summed up in 1 word: perfect. Our dance floor was literally packed from the first song to the last note. People were dancing for 4 hours straight while the band played. They took 2 short breaks and their musical talent is so great you couldn't tell what was actually being performed originally and what was Fever. Well, that isn't entirely true, the Fever songs tended to rock a little harder and get people dancing more. The feedback we have gotten since our wedding has been similarly positive in regards to Fever. The most common response being "oh my god, they were AMAZING!" The simple bottom line is if you want to have a fun, energetic band at your wedding that your guests will talk about for months, Fever is so clearly your best option that you'd be crazy to look elsewhere. If you choose another band you will most certainly be making a mistake. My husband and I were just married at Hotel Northampton on October 11th. We were very lucky and had a gorgeous, fall day surrounded by our closest friends and family. Fever Band played as a jazz trio for cocktail hour and it was simply perfect. It really added a special touch to the whole evening. Their 6 piece band played at our reception and it was truly amazing. My favorite instrument is the sax and the band was nice enough to learn a few, unconventional songs for us! They were so much fun and kept the room dancing all night! We've been getting messages from friends and family all week saying how great they were. Rickie and the band really made our night and I would absolutely recommend them for any event! I wish we could do it all over again! We hired Fever for our wedding in Vermont without ever seeing them live, and we were absolutely blown away by them at our wedding! The jazz trio during cocktail hour was amazing and the band did an incredible job during our reception. The dance party never stopped, every guest was dancing and every song was a hit! Rickie did a wonderful job as MC and the other band members were great - they interacted with the crowd and kept the party going all night. Their range is incredible and their cover of our wedding song was magical. We cannot say enough about them! We have Fever to thank for our guests commenting that our wedding was "the best wedding ever"! Fever played at our wedding 9-19-15 at Fruitlands in Harvard, MA. We have received so many compliments on the band and music choices! They were upbeat and fun, everyone was dancing all night. Rickie was very easy to communicate with from the time we inquired about them playing at our wedding until the day they played. If you want an amazing band, pick FEVER! Fever went above and beyond at our May 2015 wedding! For starters, the group is incredibly talented - they performed different styles from 90s alt rock to top 40 to Frank Sinatra, and performed them all flawlessly and with tremendous energy. Rickie worked with us to put together a set list that we and all our guests loved, and she was happy to MC the evening exactly as we wanted while still offering helpful suggestions. We were especially impressed with their renditions of Leonard Cohen's Hallelujah and REM's Nightswimming (which they learned at our request). On top of that, the band set up dynamic lights that set the mood, and even wore our wedding colors! They helped make our wedding special and fun, while still allowing people to enjoy the evening doing things other than dancing. We couldn't be happier with them! We cannot say enough good things about the band, Fever. The band’s sound is incredible! We can’t think of one song that was not executed perfectly at our daughter’s wedding reception. The band plays a terrific mix of genres and a variety of artists. 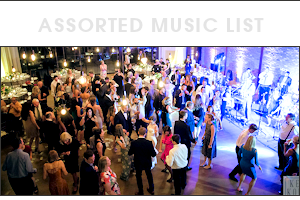 In addition to a great sound, the band handled all the logistical details of the event to include: introductions of the wedding party, DJ coverage on breaks, special effects lighting, coordination with the photographer, etc... The band’s professionalism throughout the event was exemplary. Working with the band leader, Rickie Louise Miller, was a pleasure, as she was quick with email responses to inquiries, had a great worksheet to streamline the song decision making process and kept the whole wedding party on schedule throughout the evening. The night would not have run smoothly without Rickie’s attention to detail. It is without hesitation that we recommend Fever for your wedding reception. You and your guests will not be disappointed! The Music makes the wedding…. To keep it short and sweet, working with Rickie in the weeks and months leading up to my daughter's wedding was a pleasant experience with clear, open and quick communication. Every aspect of the music provided, beginning with the ceremony, jazz trio during cocktails, and the Band (with DJ during their short and infrequent breaks), performing all types of music throughout the evening, rocked our venue. The singers' voices were fabulous, all band members looked great and professional, they were talented musicians and very friendly to all our guests. For an unforgettably wonderful, fun, and happy occasion for everyone, Fever Band would make your event! Wildly Talented, Diverse & Not Afraid of an Encore! We hired Fever band for a corporate convention at the Hartford, CT Convention center. The age span of the group went from 21 to 65+ - so diversity in music was critical. They felt the room out when they first arrived and started with soulful, chill music. In no time, the crowd was on their feet, dancing and thoroughly enjoying themselves. The covers they did spanned from the 60s to music from today - all of which was done with their own flair and fun. The combination of vocals from both the leader female singers to the drummer and guitarists were amazing. It was wonderful to hear such a variety of music and styles. They did not disappoint! We will definitely be having play at whatever event we have next in the area. They were incredibly accommodating, easy to reach with any questions, and overall put out a fantastic performance. They did a great job with the 4.5 hour set we gave them and our crowd couldn't stop talking about how amazing they were. Don't miss out. Book them today. You won't be disappointed! Fever performed at our wedding and they made it a night to remember. We had a blast and our guests couldn't stop talking about how much fun they were having on the dance floor. A direct quote from one guest was "I didn't take one picture because I never left the dance floor, the band was amazing". They also played the music during the cocktail hour and it was the perfect amount of background music for the setting. Rickie was the best to deal with and was very accommodating with all our requests. Friends have told me their wedding band took none of their input but Rickie worked with us and our requests. They read the room perfectly and played accordingly. 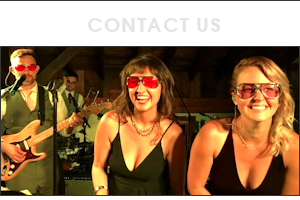 Everything was fantastic, book this band and it will make your wedding/event perfect. We were very fortunate to have Fever play a relay for life party on June 20th. The music was incredible, we had a wide age range in attendance and they appealed to everyone. Very professional, they set up quickly and played for 4 hours, keeping people dancing the entire time. As cancer survivors were honored they played "Happy" and the crowd loved it, things got a little more emotional when we honored those we have lost and Fever played "In My Life" and "Hallelujah" both songs were perfect for the ceremony, and there was not a dry eye in the house. After we remembered, we went into fight back mode and the band got everyone pumped up again with a great set of upbeat party music. I cannot say enough about this group of musicians, they planned a perfect set list, interacted with the crowd, and everyone left there wanting more. Can't wait to see them again soon and hope they will play next years event. Ricki, and the rest of the band, thank you so much for an amazing night you will always have a special place in the hearts of the Hope Club members. They made our wedding reception a hit. As a professional musician, it was important to me to have a great band at my wedding reception. My wife and I chose Fever because of the quality of their musicianship and their versatility. We, and our guests, were not disappointed. First of all, Rickie and the rest of the band were friendly, professional, and easy to work with. They made a point of introducing themselves to us and our families and connecting with the "vibe" of our reception, right down to matching our colors. They were thorough in doing a sound check and monitoring their sound throughout the reception (many bands don't, and this makes a huge difference). As I mentioned before, the band members are very versatile. Several of them sang and some played multiple instruments. This enabled them to cover a wide range of music extremely well, staying true to the original versions but still adding a personal touch. They did an incredible job getting our guests engaged and excited to dance. Everyone was on the dance floor having a good time, and this kept our guests until the very end. You could tell that the band was having a good time too, and this made the entire experience exceptional. Friends and family are still raving about how great Fever was and how much fun they had. We give Fever our highest recommendation. Hired Fever for our open house event (Finke Equipment) and when they arrived they hit the ground running. The band played all the top artist and more. The sound was amazing and the performance was amazing. They kept the crowd rocking and active all four hours, they were so good we booked them an additional hour. They rock! Rickie and the band played a special private party this past weekend for a group of 50 to 60 folks and did put on a fantastic performance. We had guests from all ages (teens to 80 years old), and everyone enjoyed the show. There were also professional musicians in attendance who were impressed as well. You cannot go wrong with this band!! The band Fever did a fantastic job at our wedding. All of our guests still talk about the wonderful job that Rickie and the band did for us! The band had a given us a great selection of music and let us choose songs that were special to us. The lights that were used during the reception were an awesome touch to their performance. Hendrix did a really good job announcing us in to the ceremony and throughout the reception. Overall all a very good performance and highly recommended by us and our family and friends! Expertise Reviewer: Jen &. E. S.